The last time I typed words into this blog was one day before my birthday, all the way back in April. Two days later, I ended my four and a half year relationship, and all the words disappeared. It has taken me close to seven months to actually open up WordPress again, but here I am. 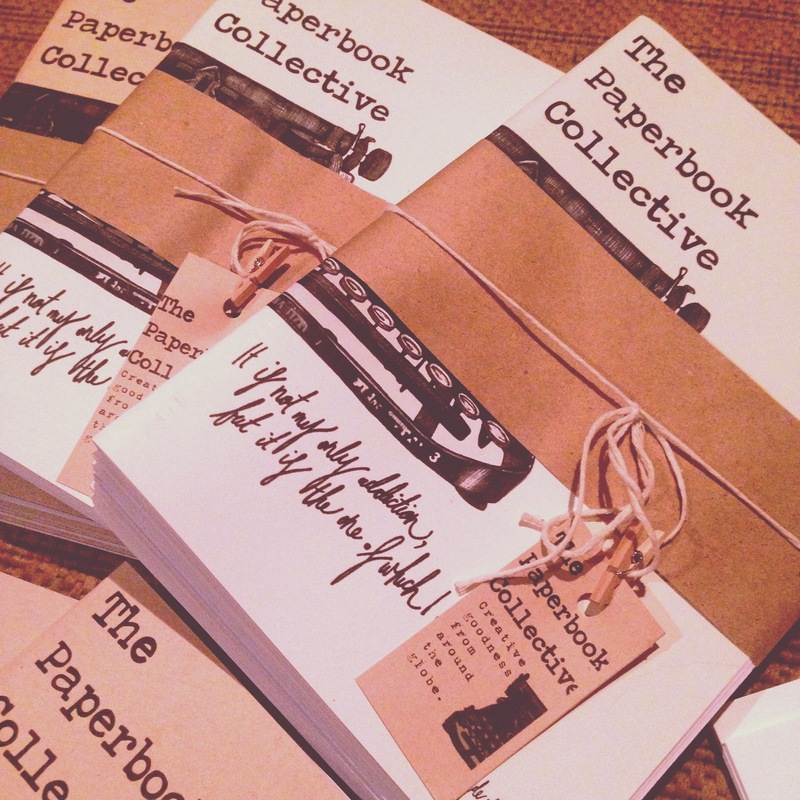 About a month ago I dug out my battered original copies of The Paperbook Collective, and started again. I hadn’t actually realised how much I missed it, and how happy it made me feel. My life is now filled with work and events and committees and obligations, but I am determined to make time for The Paperbook Collective once again. 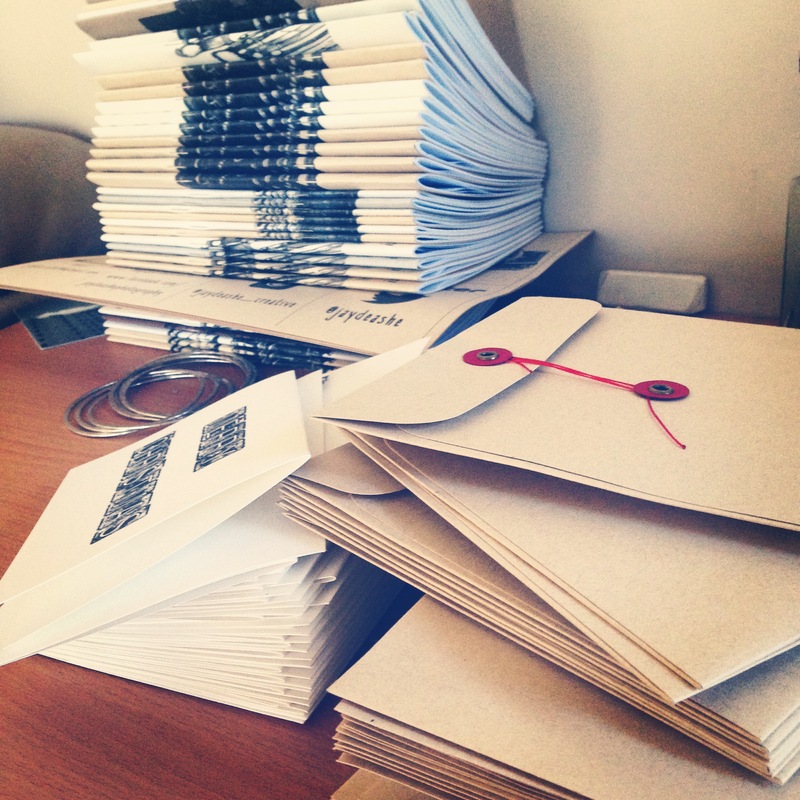 So I have been working hard, and Issue Seven is now officially a zine! If you had ordered a copy of Issue Seven before I dropped off the face of the earth, please send me an email to jayde.ashe@hotmail.com. I will do my best to get them mailed out to you as soon as possible! Issue Eight is close to completion, and I hope to have it published in the next week or so. Huge thanks to everyone who submitted work for that zine, and huge thanks for not hassling me or giving up on me. I appreciate it more than I can say. If you are keen to help get The Paperbook Collective back up and running, feel free to send your work through to me to bulk out Issue Eight or to make a start on Issue Nine. 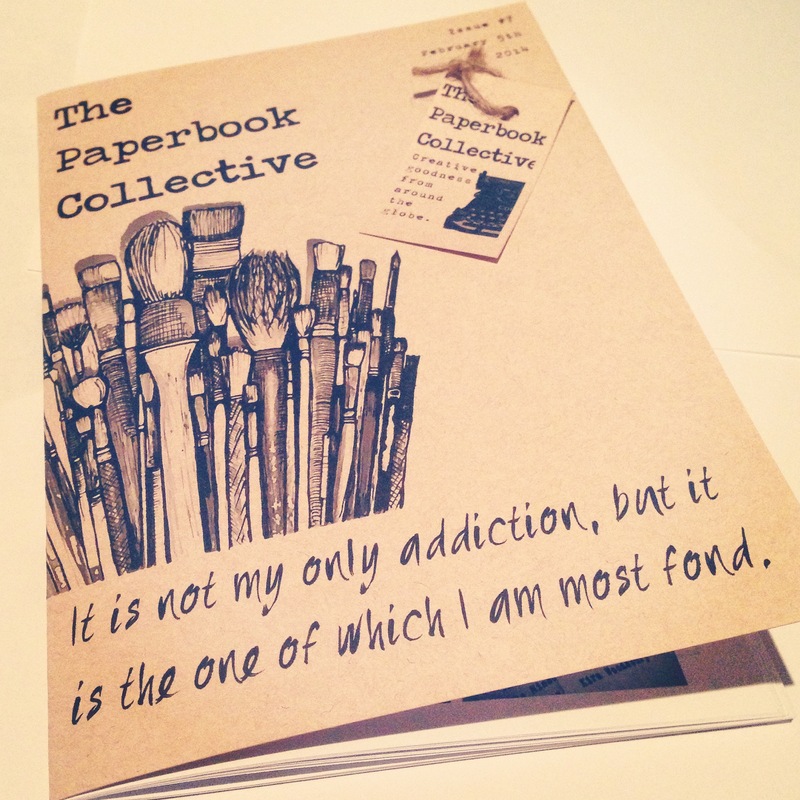 In case you have forgotten what The Paperbook Collective is all about, (let’s be honest, it’s been a looooong time!) check out the guidelines here. I have actually relaxed the submission rules quite a lot though, so also click here. I have plenty of copies of Issues 1-7 ready to be posted out, so if you would like to grab some individual issues, or maybe a gift pack for that literary someone for Christmas, check this out. 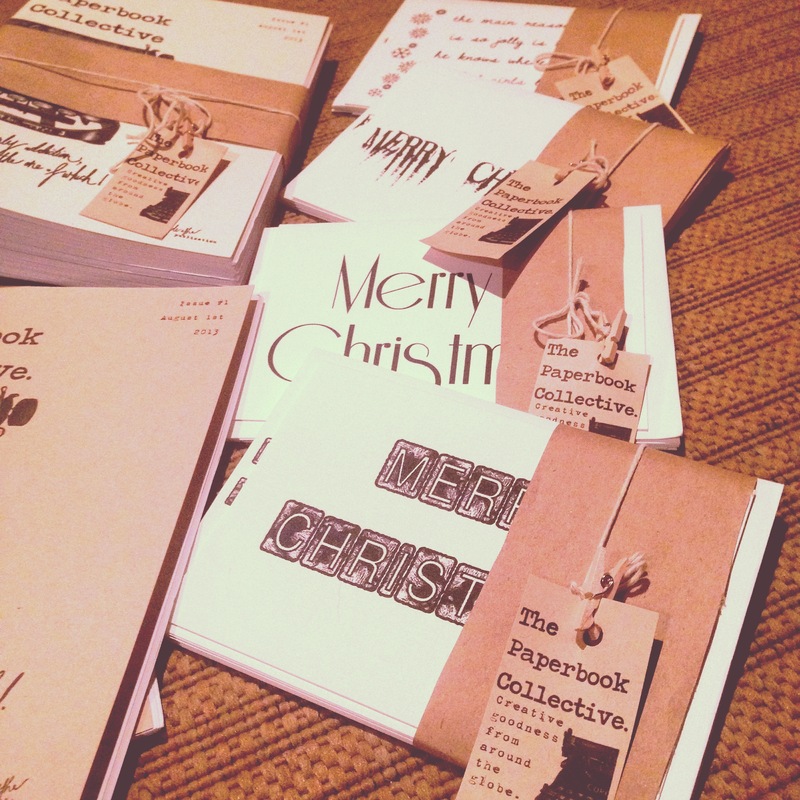 I also have some pretty cute Paperbook Christmas cards ready to go. These babies come with matching envelopes and are just $10AUD for a pack of 5 different designs. I will be throwing myself wholeheartedly into The Paperbook Collective in the next few months, so feel free to drop me a line, submit some work or just say hello. I hope all of you out there in blog-land are doing well, and have had a better 2014 than I seem to have had. Thanks so much 🙂 Glad to be back! Thanks Pam, looking forward to submissions from you! Boy, am I glad to see you are kicking. Nice to have you back. Thanks so much John, I did miss you guys! Glad to be back. So sorry to hear you’ve had a bad year…but so pleased to have you back!! Congrats on your return and on issue #7. Hello King Midget! I don’t think you were in Issue 7 but very possibly in Issue 8…I’ll let you know ASAP! I have missed you dearly. Sorry I was such a shite and didn’t inquire as to your well being. I think about you all the time and am thrilled to see you back. 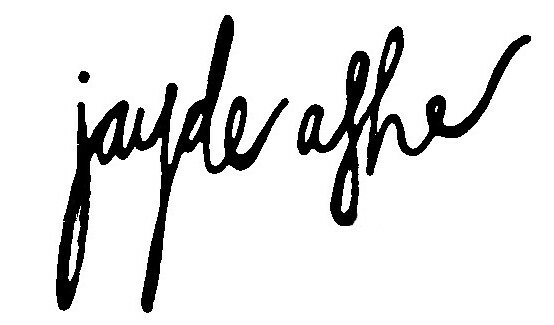 Welcome back Jayde .. nice to see you again! Thanks so much Colline, it’s been a wait but glad to be back into it again! Welcome back Jayde-congratulations on Issue #7 and I look forward to future issues! Thanks so much littledogslaughed! I loved your pics in issue 7…hope to see more soon! Yay! I am so happy that you are back, and doing well! Thanks Maedez!! Looking forward to many more submissions from you in the future! Of course! I am still happy to do the letter series that we talked about months ago (the first one of which should be in the upcoming issue, I believe). I was actually just working on your letter then Maedez! Having an early morning session on issue 8, it’s coming together nicely 🙂 Would definitely like more letters for future issues! Definitely! Just let me know the deadline for the next one, and I will get it to you before then. Oh, and I have some great news. The short story of mine you published in the October 2013 issue is being printed in a horror anthology book that comes out in February! Oh that’s incredible!! Congratulations! I’ll post something up about it for sure! Because everything is quite hectic now I’m just doing TPC when I have the time, so no deadlines 🙂 I’ll pretty much just publish each new issue when I have enough pieces to fill it, so feel free to send anything through whenever you like! Thanks! I haven’t posted anything about it yet (I am waiting a bit closer to the publication date), but I will let you know when there is a firm release date. Yay to no deadlines! That approach sounds healthy and manageable. So, I will send you something when I have it. Best of luck with the upcoming issue. I know it will be great. yes you are back oh yeh.